Have you ever had a signature anything? I’ve always dreamed of having a signature song, something that would play when I dance into rooms. I was thinking something like this. Or maybe a signature cocktail? Classy, yet simple? Something the bartender at your local watering hole could have ready by the time you’ve waltzed in from the door? I’ve never been to a bingo church luncheon but I get the gist. 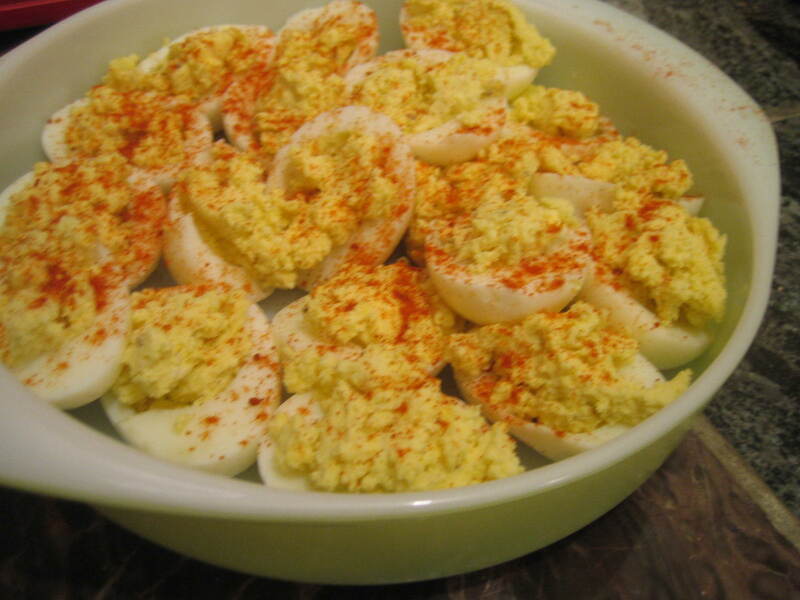 Deviled eggs are retro. They could be served next to Jell-O salad and nobody would blink an eye. Their kitsch factor does not diminish their deliciousness. Prepare, serve, and you too can have your friends lining up at your dining room table.